Colin Scotland. 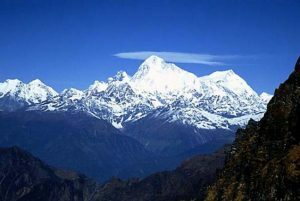 - BOUNDLESS HIMALAYAS TREKKING & EXPEDITION (P.) LTD.
To Pasang Sherpa & Boundless Himalayas treeking & Expedition. What a fantastic trip. Thank you very much Pasang for being a excellent guide and friend during our 21 day trek to Gokyo and Everest Base Camp!! Your English is excellent and teaching me some Nepalese made the trip all the more enjoyable ! I would recommend this trip to anyone and also recommend the services of Pasang Sherpa to make the trip all the more enjoyable !